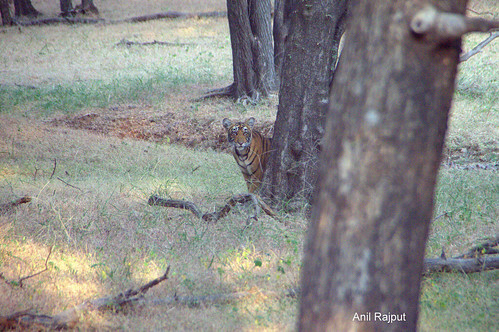 Planing a holiday to visit a Ranthambhore Wildlife Sanctuary? Here are few simple steps which will help you to make sure you have a date with Tiger in wild . 1. 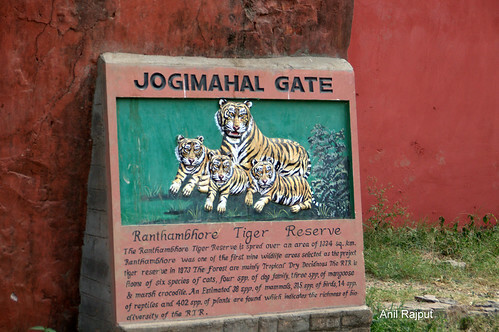 The Wildlife Sanctuary at Sawai Madhopur , Ranthambore , Rajasthan is among the high density in number of Tigers as compared to other 46 Tiger Sanctuaries spread all over India . 2. 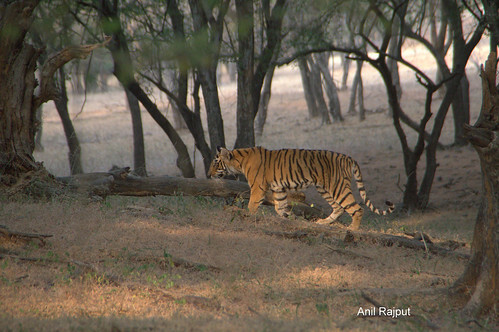 The Ranthambore Tiger Reserve lies at the intersection of the Aravalis and the Vindhyan hill Ranges covered by Northern Tropical dry forests , the trees shrubs shed their leaves at the end of the season in this region . 3. River Banas, a tributary of river Chambal divides this forest into two parts one part is Kela Devi Sanctuary which is a dry Plateau and the Ranthnambore National Park, Sawai Madhopur Sanctuary and Sawai Man Singh Sanctuary covering approximately 530 Sq.Km. area rich in wild life out of the 1334 Sq.Km. area The National Park is home to over 40 species of Mammals, 300 species of Birds, 45 species of Reptiles and over 300 species of Plants . 4. 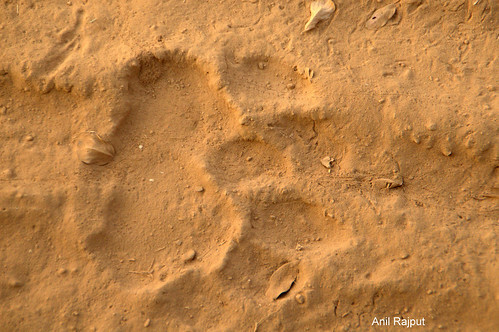 Tigers keeps on moving in their marked area and tries to keep expanding it by leaving their scent on the tree barks and rocks and keep protecting it from other tigers even at the cost of their life . 5. 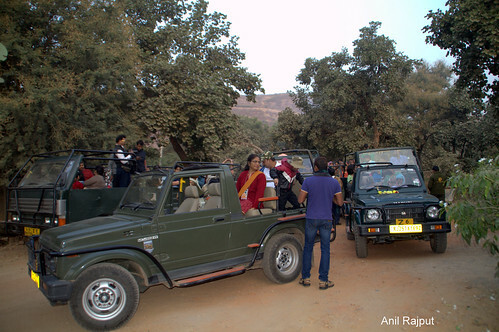 Register yourself online for the date and time you want to take the Jungle Safari by Jeep or by Canter . 6. Book for minimum two or more visits in different Zones it is better to have more than two to increases your chance in Tiger Sighting . 7. Wear soft Green , Khaki or similar camouflage outfit , wear sunglasses and cap as there is lots of dust on the tracks . 8. Check with the driver about the route the vehicle is to take , if there were sighting in the previous day in the same or adjoining Zone , drivers and guide follows the calls and pug marks in the direction of Tiger, listen to their instructions carefully . 9. When you sight a Tiger do not make any noise as Tiger is a shy animal it may run away in hiding, never use flash for taking a photo as it scares the animal , remain seated, calm and give others also the opportunity to view and take photographs . Sawai Madhopur is a Railway Junction on Delhi – Mumbai Western Railway main route all trains passing on this route stops at this station as one track branches off for Jaipur from here . It is well-connected by road State Highways from Jaipur , Agra , Kota , Bundi ,Tonk , Dausa , GangaPur City . Nearest Airport is Jaipur , driving distance 160 km aprox 4 hrs. Accommodation is available in form Budget category to any Star Category Hotels , Resorts and Swiss Camps .